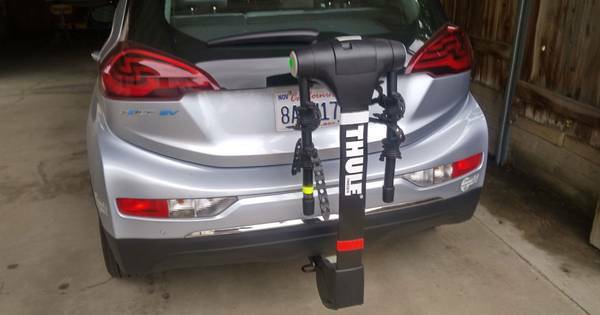 A few weeks ago I had U-haul install a 1.25-inch hitch receiver on our 2017 Chevy Bolt EV to mount a bike rack. 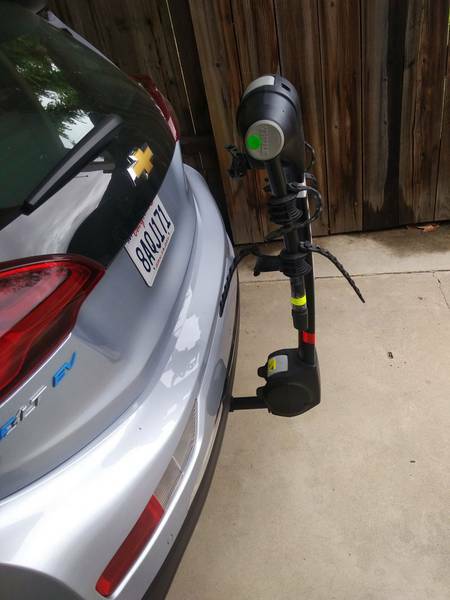 We sold our Chevy Volt, scaling down to a one-car, and, hence, a one EV family. In doing so, I needed another bike rack. The previous rack I'd used on the Volt, Thule's Raceway Pro, isn't advised for the Bolt. Sure, you can mount it on the back of the Bolt, but don't try to use the windshield wiper! Since the car is leased, I didn't want to inadvertently damage the wiper. This led to a search of the message boards and what others found as the best combination of hitch and rack. Message boards are powerful tools. Many posters now include photos and even some videos. In the end though, you have to find what works for you where you live. 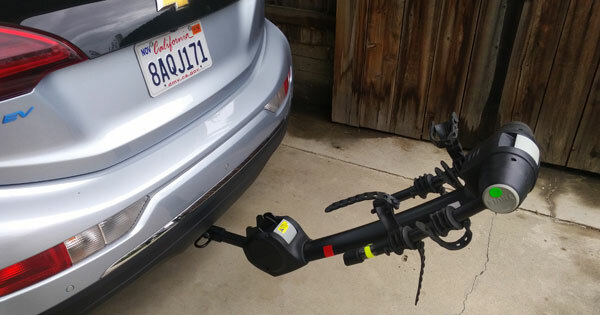 U-haul installed the Cequent hitch # 24956 for $191.19, including California sales tax. The hitch requires cutting a small portion of the fascia, but the cut is not visible when standing behind the car. 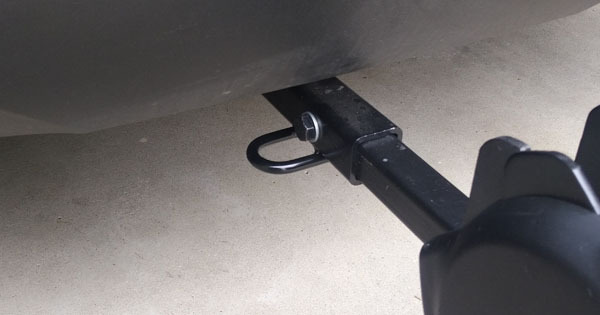 The display model bike rack that I bought from U-haul didn't come with the washers between the mounting bolt and the hitch receiver. I mounted the rack anyway and took a test drive. The rack bounced around in the receiver more than I was comfortable with. I went back to the message boards and sure enough there was a discussion of play between the "stinger" of the Thule bike rack and the receiver. Thule and others said that if you use the washers that came with the rack there shouldn't be any play. Fortunately, I found a thick washer suitable for the bike rack bolt. The simple addition of the washer allowed me to fully snug up the stinger inside the receiver. I haven't had any movement since. I've been using the rack for the past two weeks to carry my bike for daily rides and haven't had any problems with the rack or using the Bolt EV with the rack in place.